cPanel & WHM is the world's premier web hosting automation software. cPanel & WHM is a suite of tools that gives you the ability to automate web hosting tasks via a simple graphical user interface. For over 20 years, cPanel & WHM has remained the leading hosting automation platform and provides website owners and server administrators all the tools necessary to take their product to the next level. 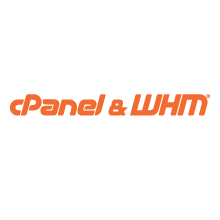 cPanel & WHM allows users to focus on empowering their customers and build every facet of their website experience. Each license includes ALL updates for cPanel & WHM. cPanel & WHM also allows the server administrator to select their updating preferences. From bleeding EDGE, to slow and STABLE, administrators can set the release tier that their server updates with. New Email Deliverability Interface, which highlights and offers resolutions for common problems with email deliverability. Automatic PHP INI settings in the WHM interface as well as access the system PHP-FPM Pool Options in the new System PHP-FPM Configuration tab.